Ridge capping is one of the many tasks that gutter cleaning and roof repair companies like James Cleaning and Spotless Gutter Cleaning handle. Ridge caps are parts of the roof. These little triangular tiles conceal the joining point of two separate sections. 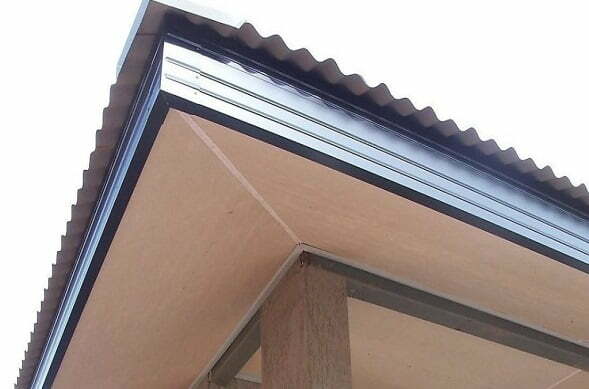 The purpose of ridge capping is to prevent rain and water from cracking through the vulnerable area. Without good caps, water leaks inside and can cause the roof to crack. As an essential component of a roof, James Cleaning and other companies provide the valuable service of replacing these when they’re damaged. We offer quality service and replacements, for a lower cost. The right ridge cap is essential to securing the roof of your home from any damage. Properly installed, it is a strong defence against the environment. You might be wondering if we are the right choice. We can’t answer that for you, but here are the reasons you should consider us. We have professionals with experience. In this sort of work, the experience is an essential part of success. In our years, we’ve dealt with both commercial and residential clients. All of our past customers are quite satisfied with our work. We use only the best materials. We don’t rely on second-rate components. Our replacement ridge caps are the best in the market, to go with our top-notch installation services. Our crews are certified and well-trained. We adhere to all applicable Australian and international safety standards. We are confident enough to provide a guarantee on our work.